We are a social enterprise specialising in health & wellbeing programmes that are delivered through horticulture and forest school activities. Our sessions support groups and individuals, from birth to older age. We have built a reputation for delivering high quality packages in both horticulture & forest school education and project delivery to a variety of clients across Salford. Ian has a wealth of experience of teaching in the further education sector. He started his teaching career in 1999 where he first taught students with additional needs. His passion for using horticulture as a medium for teaching was fostered during this time. In 2013 his outstanding work and dedication to the delivery of horticulture was recognised when he was awarded a Livery Company Prize from the Worshipful Company of Gardeners at the City & Guilds Annual Awards presented by HRH The Princess Royal at Buckingham Palace. Judith is passionate about childcare & early years and has extensive experience working in the sector. She has held posts in Nurseries, Schools, Early Years Centres and Children’s Centres. Her passion for outdoor activities led her to qualify as a Level 3 Forest School Practitioner. Judith’s special interests include the use of outdoor experiences to support individuals mental health and well-being. In 2016, Sam left his job in advertising to do something more fulfilling. Since training as a level 3 Forest School leader he spends his time fostering resilience, creativity and emotional and physical wellbeing, using local woodland as a classroom. Sam's approach to Forest School allows children to explore their interests and potential through open ended and child led learning experiences. Carol has been a volunteer at Incredible Education for over 2 years. She has worked as a Civil Servant for 34 years and decided she wanted to help the community. 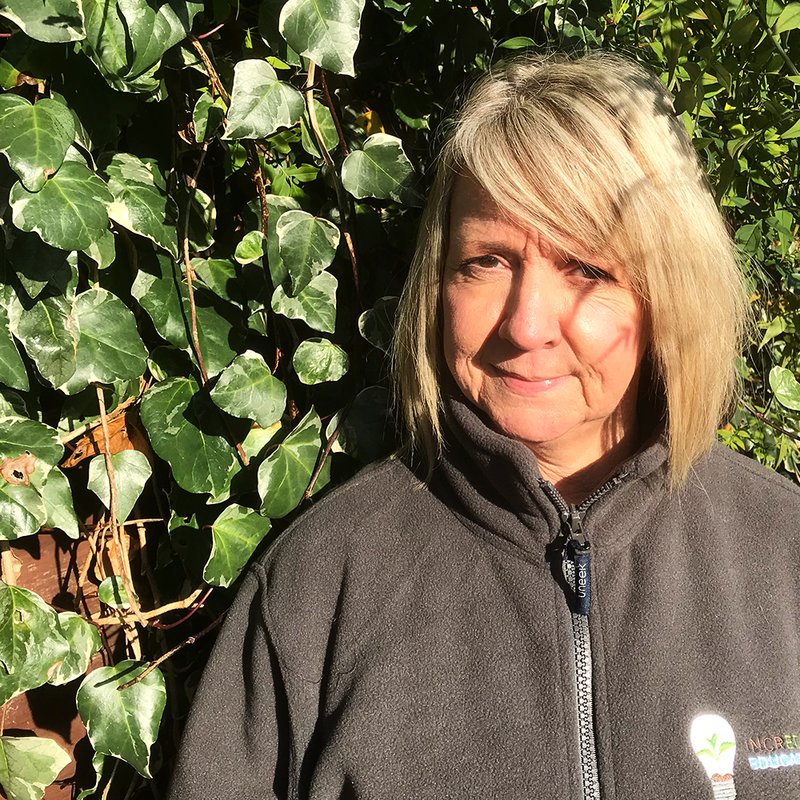 She works with the students from Oakwood Academy where she assists and encourages them to develop their horticulture skills and gain a qualification. Carol really enjoys volunteering and hopes that one day it will make a difference and help someone to achieve the unexpected. "We make a living by what we get but we make a life with what we give". “The things I like about volunteering are keeping the cabin clean, and working with the students when we clean the plant pots and prepare the wood for planters”.